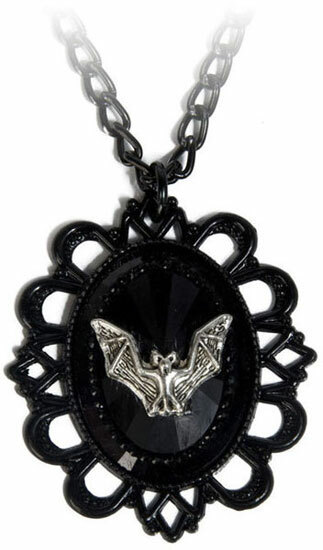 Black acrylic cameo diamond cut with metallic bat filigree setting and faceted rhinestones. 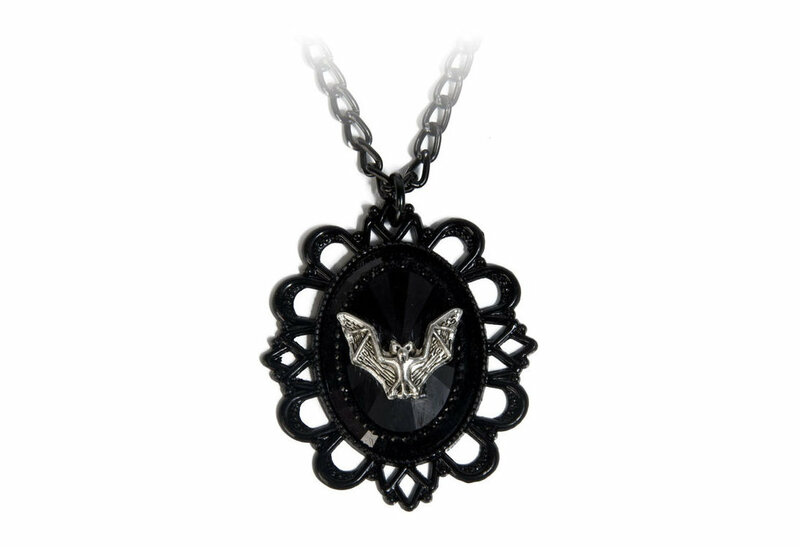 Measures approximately 60 x 52 mm. Anodized aluminum 26 inch chain. Imported.